anyone know about these or ever tested one? a dude has just started selling them here and curious to know feedback as I've never heard of them! Never tested one, but they are French, it is the brand started by Cyril Coste, a French kiteboarder (ex-Naish rider). 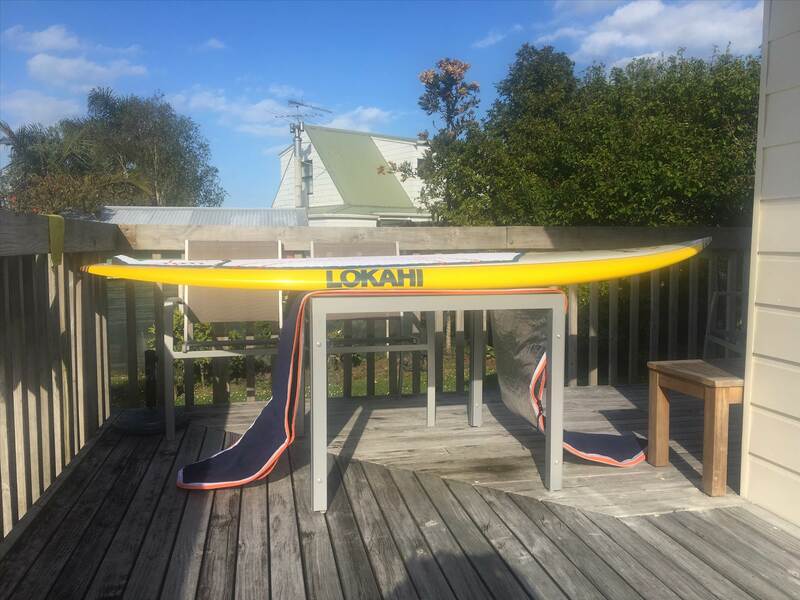 Cyril Coste has a kite shop in the north of France, so Lokahi is mostly known there, never saw one in the south, so I won't comment. Note that Cyril has now also founded Takuma for all the foil-related gear, Takuma being more widely distributed, it may be better known than Lokahi nowadays. Never in a million years would I have guessed that two brands called 'Lokahi' and 'Takuma' where both French companies started by the same guy. 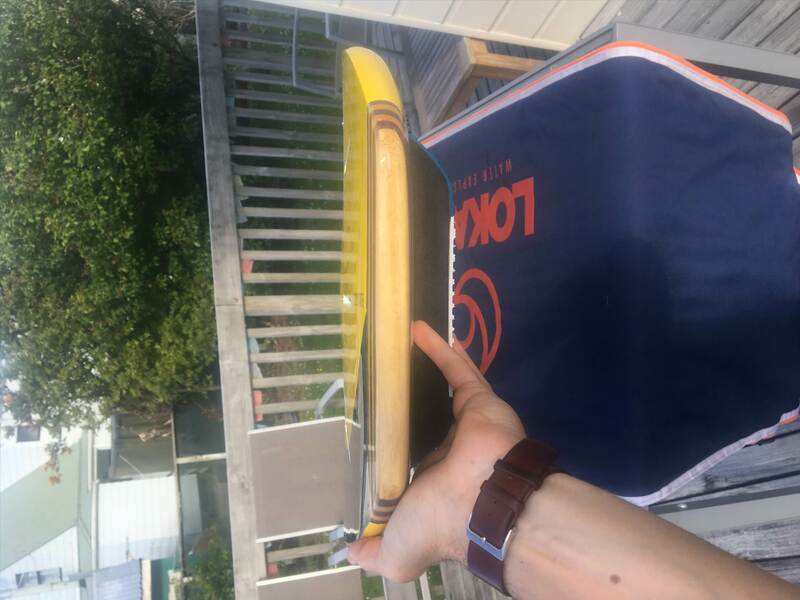 I had a ride on their 8'4 ombak the other day (surf model), 109l. felt a heck of a lot more stable than its volume suggest and easily more stable than my 115l 8'6 x29 board I tried at the same time. What are the dims of your 8'3? Any pics? Decided to bite the bullet on this today! 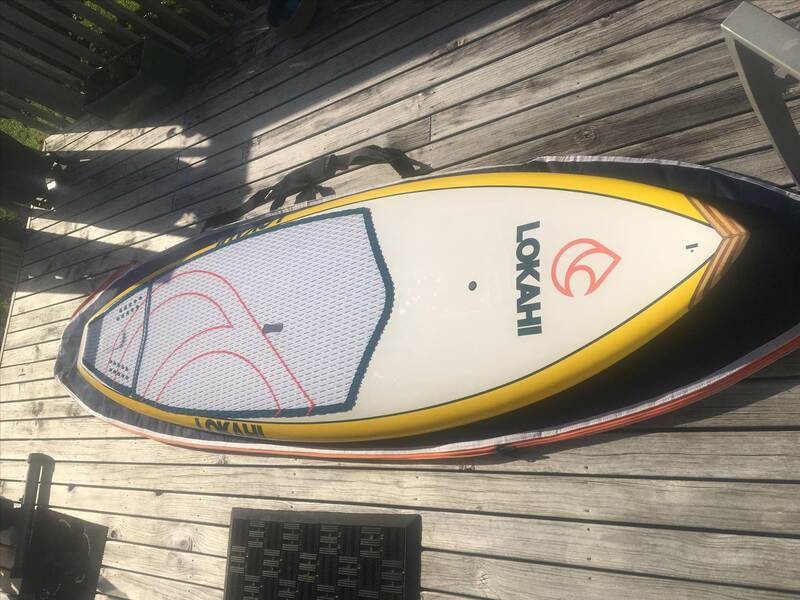 lokahi 8'4 x 29 x 4 1/4 @109l. apparently a bamboo / carbon sandwhich and also has a (stringer?!) which seems uncommon? Still fairly light weight for a solid build- around 8kg. really pronounced squash tail and quite a deep double concave out the back 1/3 of the board. Good bit of rocker in the nose, bit less in the tail. Quite full rails for what I was expecting but felt really stable on my little flat water test. More stable than my 8'6 x 29 x 115l board . cant wait for the test on waves! Beautiful! I guess you decided on this one over the 8'3 Starboard Pro then--will look forward to the ride report. Looks like it will handle larger waves well! Good looking board! Love the wood nose and tail blocks. Great idea, functional and beautiful. Look forward to a surf report. 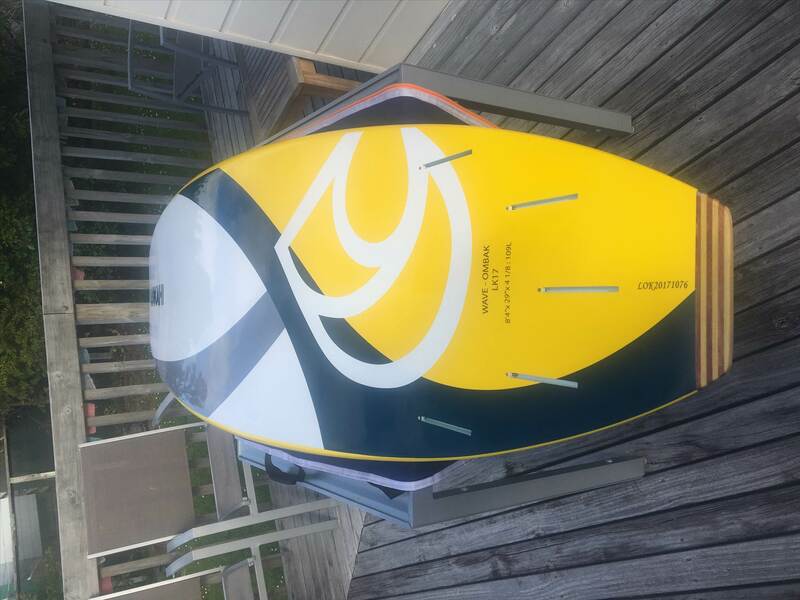 @805standup- I've actually not been able to find any of the new starboards in any shops overhere yet! Would still love to see one but this guy also gave me one hell of a deal on his last lokahi with bag and fins free. havent really tried or seen too many boards with such a pronounced square tail so will be interesting to see how it goes. Not sure if it is the same board as the tail looks less pronounced but looks like a good shape. 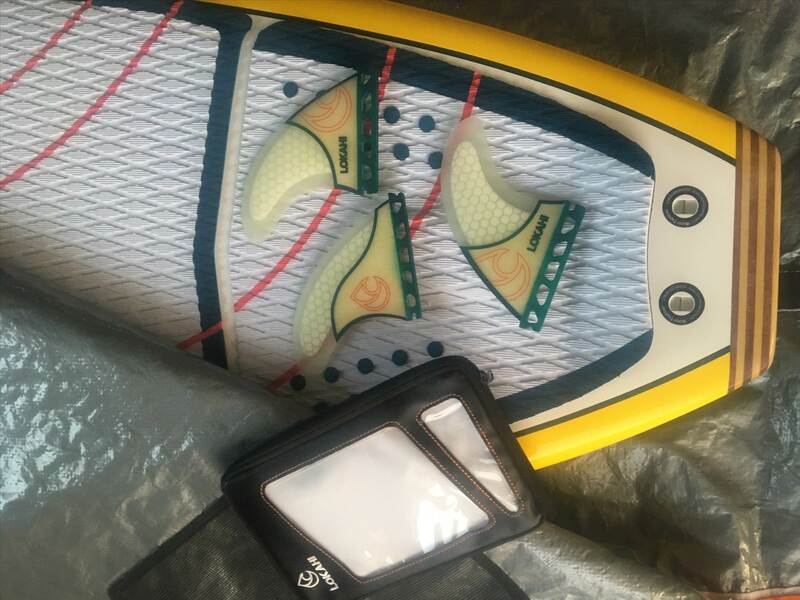 My quiver is mostly rounded pintails but some folks really like squash and square tails so will be interesting to see how it performs on the waves. Quite a cool little video. I did a decent flat water test yesterday on the 8'4 (with some one shore and lumpy wind) for perhaps 1km.